I've been reading a lot of sites to see the best way to get the packages in Texlive installed in my Ubuntu based system. each one to be installed via sudo apt-get install <package>. The first one, texlive-full is clearly the largest one containing (I assume) everything that can be found in the others. But, what do the others meta-packages contain? What are the differences between them and which one should I install to get a working LaTeX environment under Ubuntu as fast and as lean as possible? As for which package to install, this depends very much on what you are planing on using them for. In my case I installed texlive-full as I'm writing articles in several fields, making presentations, etc. and didn't want to spend the time individually installing packages. 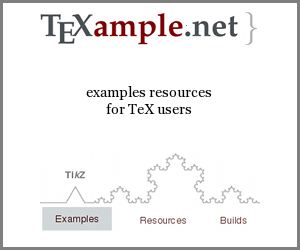 You can always just start with texlive-latex-base and then just install the collections you need. (To find a collection with a package in use apt-cache search package) There is no good way yet to install individual packages in Ubuntu, as tlmgr will run in user mode (installing packages only for one user). There are ways of fixing this, but this requires the installation of texlive from source or a ppa. See this question. TeXlive on Ubuntu, and equivs? Does texlive comes with documentations of packages? Why do I need texlive?